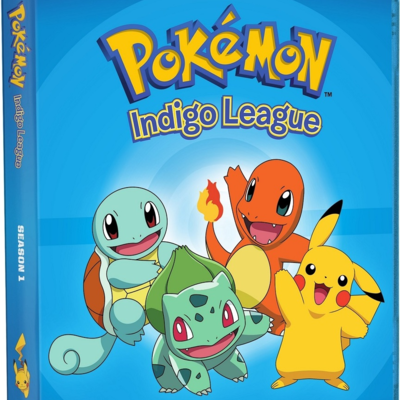 Description It’s Ash Ketchum’s tenth birthday, and he’s ready to do what many 10-year-olds in the Kanto region set out to do—become a Pokémon Trainer! Things don’t go exactly the way he planned when he ends up with a Pikachu instead of a standard first Pokémon, and winning Gym Badges turns out to be much tougher than he thought. Luckily he’s got former Gym Leaders Brock and Misty at his side, along with a bevy of new Pokémon friends, including Bulbasaur, Squirtle, and Charmander. 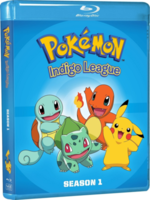 NOTE: This Blu-ray set contains the original broadcast master copies of when Pokémon was in Syndication in 1998, including the original commercial bumpers. These copies have never before been released. This includes unaired Syndicated versions of episodes from "A Problem with Paras" until "The Breeding Center Secret". 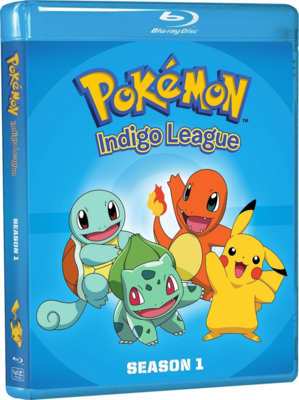 This set is the same as the previously released Pokémon Season 1: Indigo League - Champion's Edition except for different packaging.